“Enjoy the refinement”, says David Miles (Miles Better News Agency). There is no shortage of SUVs, small, medium, large and very large, petrol, diesel, hybrid, plug-in hybrid and all-electric are all available depending on the model and from ‘budget’ buys to ‘upper-class’ premium brands, all cashing in on the seemingly unstoppable public demand. Sales of SUVs of all sizes now account for over 35% of the European new car market, a figure more or less replicated in the UK so far this year. 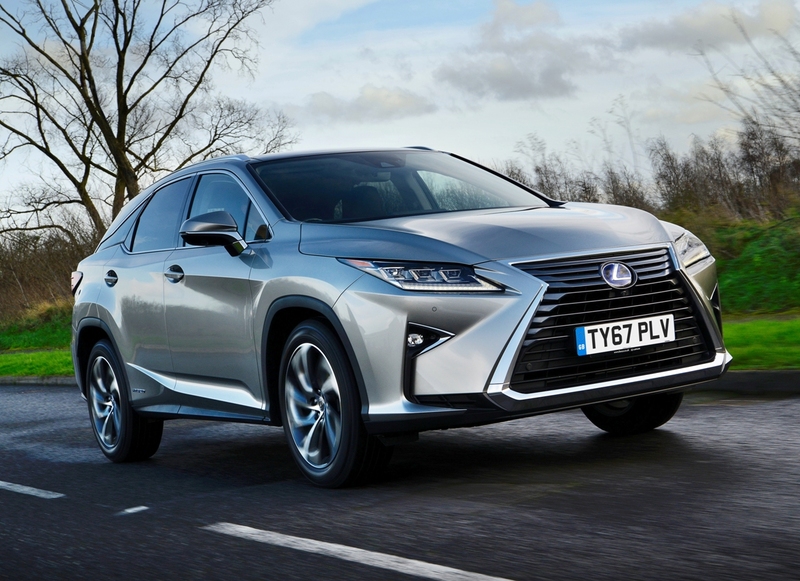 A stalwart of the large SUV market sector has been the premium brand Lexus RX five seater and the latest 450h models are the fourth generation versions. Most recently a seven seat model known as RX450hL joined the UK line-up. This is the first seven seat model Lexus has sold in the UK and is available with SE, Luxury and Premier specification levels with prices ranging from £50,995 to £61,995. I briefly tried this model at an industry media test day in September. The more popular five seat versions which include an additional Sport spec level are priced from £48,690 to £59,690. 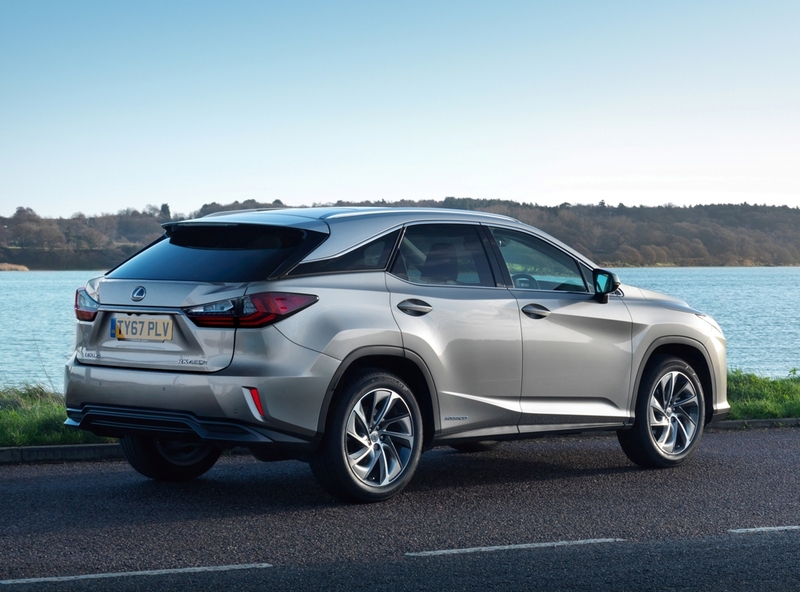 Lexus in the UK expect to sell around 2,500 units of the five and recently added seven seat models, with 70% of customers choosing the five seat version. As it is the best-selling version I’m now spending a longer road test period with. 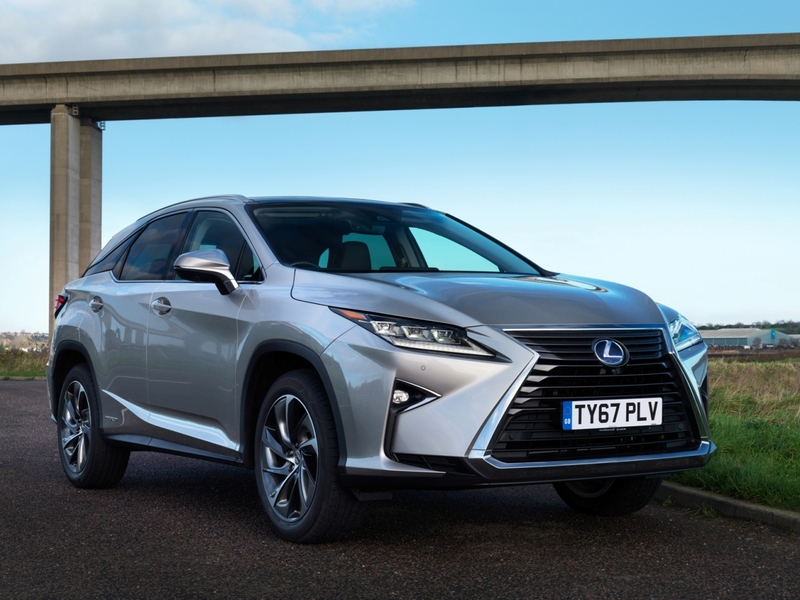 It is the RX450h Premier which costs £59,690. No matter what seating layout or spec level is ordered all RX450h versions are powered by the same Lexus self-charging hybrid powertrain system which consists of a 3.5 litre, V6, DOHC petrol engine supported by two electric motors, one at the front and one at the rear. The rear unit provides 4WD traction when needed but it also operates as a generator to charge the nickel metal-hybride battery pack and allows the hybrid system to be self-charging. Total system power output is 308 bhp with maximum engine torque of 335 Nm (247 lb.ft) at 4,600. But more torque of 335 Nm (247 lb.ft) from the front electric motor and 139 Nm (103 lb.ft) from the rear unit ensures high total torque is available from the first instance of vehicle movement up to almost the vehicle’s maximum speed 124 mph, with zero to 62 mph taking 7.7 seconds. The added weight of the lengthened seven seat version reduces the performance figures to 112 mph and 0–62mph in 8.0 seconds. The seven seat model also has reduced, over the five seater, Combined Cycle fuel consumption figure of 47.1 mpg rather than 51.4 mpg for the vehicle on test. The CO2 figures are similar, 138 g/km for the 450hL and 134 g/km for this 450h version. 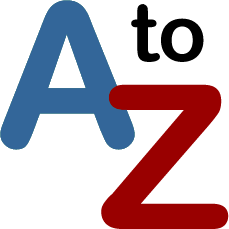 This means that both versions have a VED First Year road tax cost of £195 and then £130 Standard rate, both figures including the £10 alternative fuel discount. However £310 annually has to be added to that Standard rate figure for both versions for five years as they cost over £40k. Company car drivers will pay 27% Benefit-in-Kind tax for the 450h and 28% for the 450hL. These are both significantly less than non-hybrid petrol or diesel powered large SUVs but a lot more than the fuel and tax efficient PHEV plug-in electric vehicle hybrid SUVs increasingly available. These figures will change upwards from 1 April 2019 when the new VED and BiK tax charges come into force. The insurance is Group 42E for the 450h and 43E for the longer 450hL, and the warranty of three years/60,000 miles, but with the hybrid components getting a five years/60,000 miles coverage rate, is the same for all versions. It is this huge and responsive amount of torque that provides such an impressively smooth acceleration response from low to high speeds and the beauty of it is it is self charging. But in real-life driving conditions there is a considerable difference in fuel consumption. Motorway cruising saw the fuel economy average around 33.4 mpg but it rapidly improved to the upper 40s on country roads and in-town low speed travel where there was more opportunity for the electric motors to take over more use than the large petrol engine. The overall average fuel consumption for my week of motoring was 38.9 mpg, equivalent to a modern large turbodiesel powered SUV. Despite its self-charging system the electric power only driving mode is limited to around three miles before the generator switches in. The electric motors will seamlessly operate whenever the vehicle is being driven. The petrol engine will stop and start at any vehicle speed depending on the load placed upon the vehicle, maintaining a balance between performance and efficiency. The rear electric motor also operates to provide the 4WD function as and when needed. Charging of the battery pack is done via the generator and the regenerative braking energy capture function. The hybrid powertrain uses a CVT transmission and again the ample amount of torque means the gearbox never appears to sap the power available when driven in a normal manner, although the engine noise does rise during harder acceleration. The RX450h Premium model I tried has a very high spec level. I’m not listing all the features but it’s suffice to say it is fully comprehensive with all the latest Lexus Safety System+ providing driving support and safety alert functions. There are of course comprehensive connectivity solutions, a large 12.3-inch display screen operated via a remote touchpad control, rather like a computer mouse, positioned close to hand on the centre console. I found this remote control a bit fiddly and too sensitive. Of course there are superior sat-nav and sound system functions, and finally it has impeccable build quality. It’s a lovely high quality environment to travel in, once I had familiarised myself with the numerous switches, controls and driving mode options. The ride quality was excellent in a refined and leisurely sort of way, not as sharp-handling or hard-riding as Audi, BMW, Mercedes and Range Rover SUVs which are more focussed on fast road use with their 4WD systems. Its most likely competitor is the Volvo XC90 T8 Twin engine SUV at roughly the same price. But the Volvo has a 2.0 litre petrol engine supported by two electric motors and it is a PHEV plug-in hybrid so its First Year road tax and company car taxes are lower, and it has a longer electric power only driving range. Like the Lexus it has 4WD. 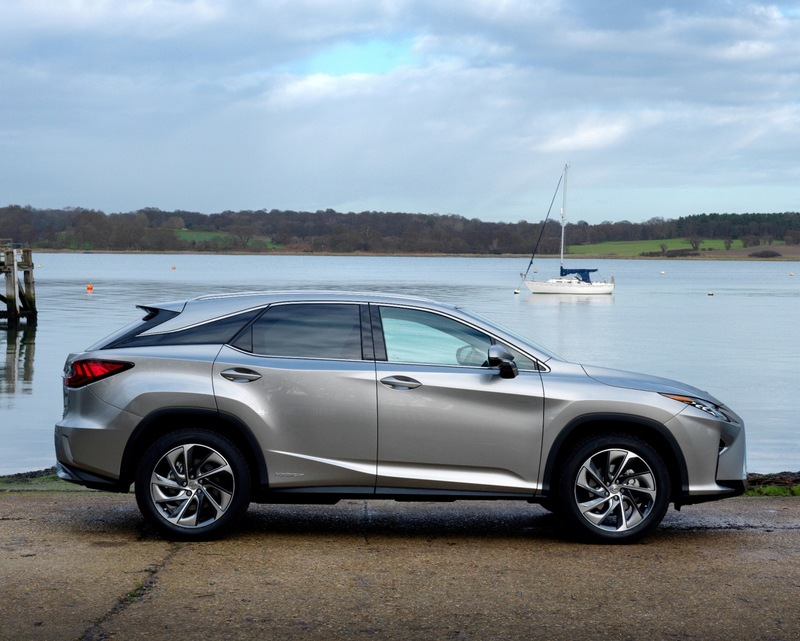 With an overall length of 4,890 mm (16.04 ft), a width of 1,895 mm (6.22 ft) and a height of 1,685 mm (5.53 ft), the Lexus RX450h is an imposing vehicle to look at. The sharp styling lines and sculptured panels give it a classy presence and distinctively different from the rounded and moulded styling approach by the German SUV brands, which have become very ‘samey’. 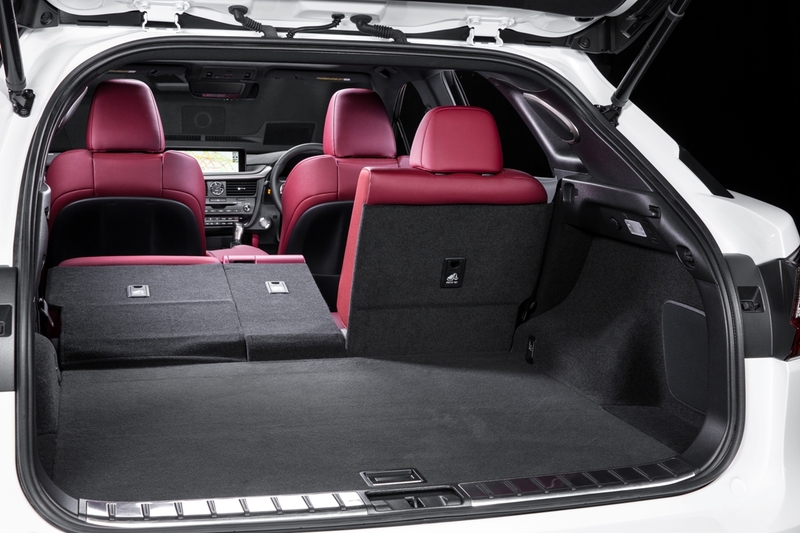 Load space varies from 453 to 924 litres (16.00 to 32.63 cu.ft) depending on the rear seat layout but load above the window line and that space nearly doubles. Access to the load area with its bumper level floor is via a huge electrically operated tailgate. Leg room for the three rear seat passenger is excellent thanks to the long 2,790 mm (9.15 ft) wheelbase. The Lexus RX450h is a large luxury premium brand hybrid five seat imposing SUV, an alternative choice to the German and Range Rover brands. Although electrification technology is the current motoring trend due to global legislation, it makes vehicles expensive to buy, even if it’s a greener road to reducing emissions and personal taxes. 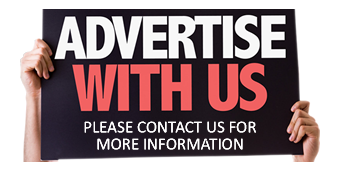 For: Very refined, beautifully built, high specification, luxury travel with a compliant ride quality, five comfortable seats with ample rear seat leg space, lower taxes than a conventional petrol or diesel powered large SUV. Against: Very limited all-electric power driving range, lacks a PHEV plug-in function, real-life fuel economy was well short of the official figure, fiddly to use remote touchpad control for the display screen functions, stately rather than sporty and agile handling. Lexus RX450h Premier, five seat hybrid large SUV. Powertrain: 3.5 litre, V6, DOHC petrol engine supported by two electric motors, total system output 308 bhp, generator, electric CVT transmission with 4WD. Performance: 124 mph, 0–62 mph 7.7 seconds. Fuel consumption: Combined Cycle 51.4 mpg (38.9 mpg overall average on test). Emissions and taxation: CO2 134 g/km, VED First Year road tax £195, Standard rate £130 + £310 supplement for five years as it costs over £40k, BiK company car tax 27%. Warranty: Three years/60,000 miles, hybrid components five years/60,000 miles. Dimensions/capacities: L 4,890 mm (16.04 ft), W 1,895 mm (6.22 ft), H 1,685 mm (5.53 ft), wheelbase 2,790 mm (9.15 ft), boot/load area 453 to 924 litres (16.00 to 32.63 cu.ft), braked towing weight 2,000 kg (4,409 ft), five seats/five doors.